Celebrating a century of binocular-making experience, this commemorative 100th Anniversary edition of the Nikon 8x30 EII, is a binocular with an orthodox and classic design used and loved by many throughout the years since its release. Its 63.2° apparent field of view is realistic, and the application of a multilayer film coating to all lens and prism surfaces ensures that the field of view is bright and clear. This limited commemorative edition has an exclusive metallic gray finish, with the 100th Anniversary commemorative logo. In addition, it comes with a special limited edition strap and case. Few binoculars have been as cherished and enjoyed more than the Nikon 8x30 EII. 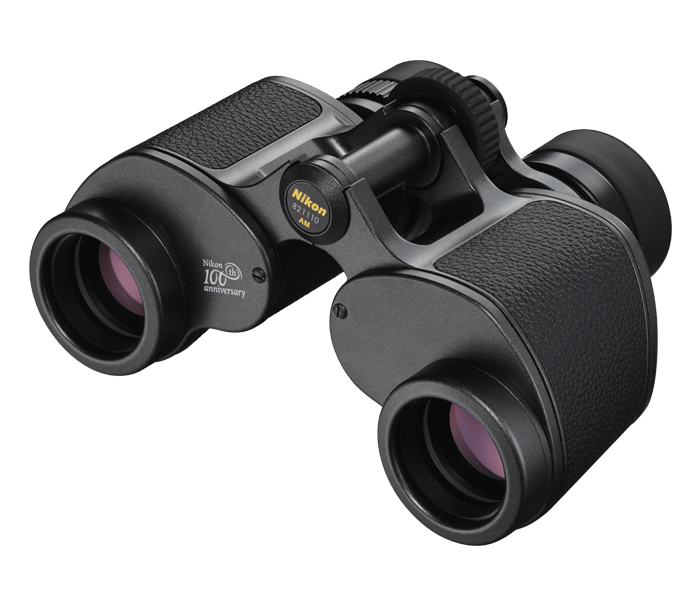 Its classic design and outstanding optics reach all the way back to 1959, to the MIKRON A Type (8x30A). Featuring the classic Porro prism body design favored for lightweight portability and a compact stature, the magnesium-alloy body and EII ergonomics allow its user to take full advantage of its optical attributes. Only 400 models will be made worldwide. Don't miss your chance to own this classic piece of Nikon history.